If your computer chair has ceased to please you and began to break down, so it's time to either repair or replace. 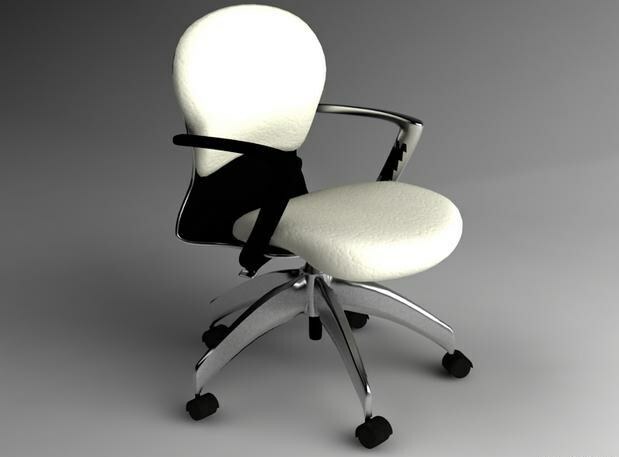 If damage is minor, you will easily be able to repair computer chair own, buying and replacing the defective part. If the d-pad constantly fall out rollers, replace the plugs, that is, nests in which are mounted rollers. Inspect the wheels if they have defects or stuck, as they change. The easiest option is replace the entire set of wheels along with the plugs, then you will enjoy a ride on your chairE. If you broke the adjustment mechanism of the backrest, i.e., it is not fixed in the desired position, inspect the screw permanent contact probably just derailed the thread. In this case, just replace the screw. If broken the permanent-contact, it must be replaced. To do this, Unscrew the bolts securing the part to the back and seat and replace it with a new one. Replacing the standard permanent will cost you 400 – 500 roubles. If the back of the chairand has a very large backlash (much Flex under your weight), check the mounting location of the permanent to the back, it might be arched. Try to gently straighten it, in addition, tighten the fasteners with a screwdriver. If damage is not visible, so it's the swing mechanism of "Top gun", replace it. Note that the replacement of conventional "Top-Ghana" will cost you 800 – 900 rubles, and the replacement of the synchronous mechanism to regulate simultaneously the angle of inclination of the seat and back, will cost up to 2 000 rubles. If the chair does not respond to raising of the lever and raises the seat, or the seat rises, but drops when you sit on it, then change the gas lift (gasometry attenuator). Buy a new gas lift (its purchase will cost you 400 – 500 rubles) and set on a chair. Note that if it's cold outside, he needs to lie down for at least 12 hours prior to installation, otherwise it can break. If the chair wobbles and creaks, try to tighten with a screwdriver all the screws in the mounting location of piastres or mechanism of "Top gun" to the seat or replace the gas lift. Before heading to the store for new parts, calculate roughly how much it will cost you to repair, sometimes to fix computer chair is more expensive than to buy new.